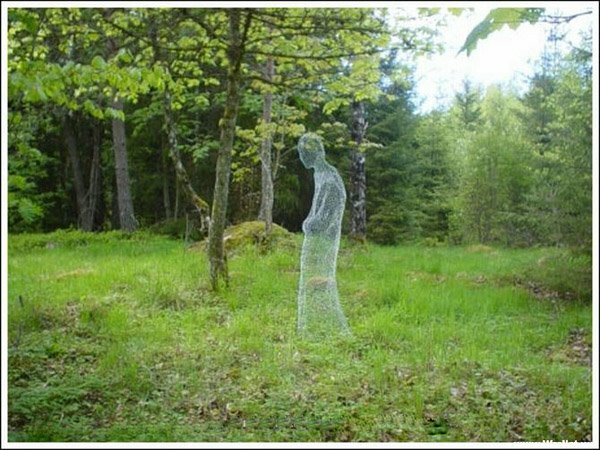 All you need is chicken mesh, protective gloves and wire cutters in order to make the above spooky ghost figure! I personally think it would be cool if you put outdoor fairy lights around the sculpture for a funky garden decoration, or perhaps cover it in Scotch tape for a more solid project. Or perhaps you could papier mache the sculpture, which you can then paint however you like!